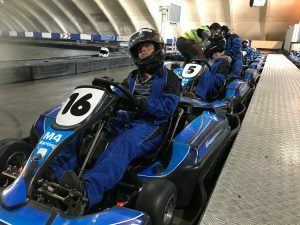 We are an award winning business that offers Learning Disability & Autism Awareness sessions in a group format, delivered by two fully qualified trainers who have learning disabilities & autism and Mat or Annie (LD Awareness Founders). 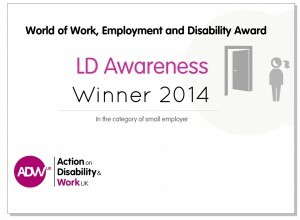 LD Awareness offer a bespoke Employment Support & job coaching support service to people with additional support needs. 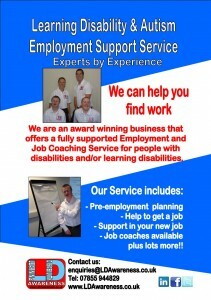 We are a “recognised, approved provider” of employment support in South Gloucestershire. 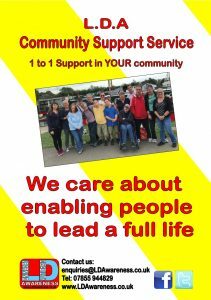 We also offer a Community Support service, supporting people with additional needs to access and connect with their local community on a 1 to 1 basis. 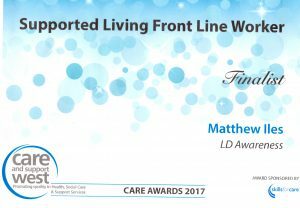 In October 2017 we were Finalists in the “Care & Support West” Awards. 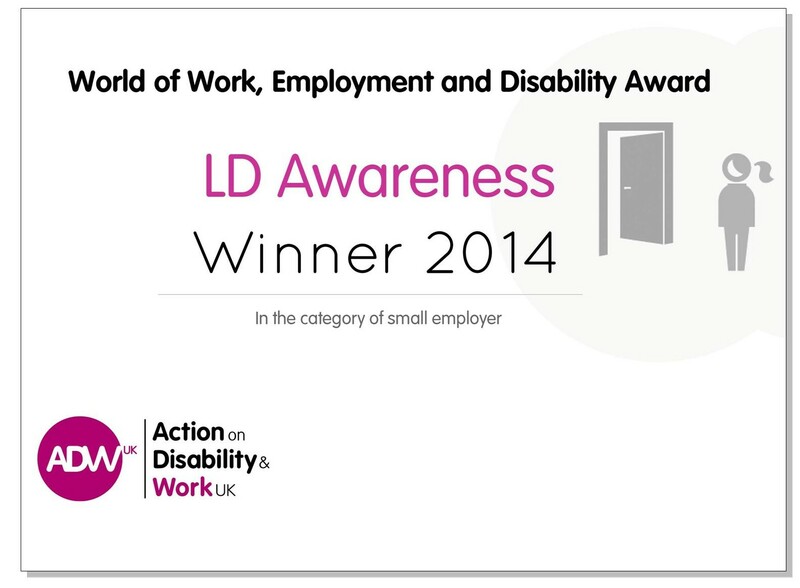 In June 2014 we were awarded the “World of Work, Employment & Disability” (WOWED) Award in recognition of the positive steps we have taken to employ disabled people. 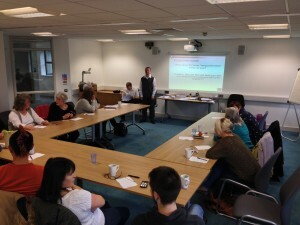 Please click on the menu tabs above to find out what we do, who we are, who we’ve trained, the projects we’re involved in and what makes us unique. 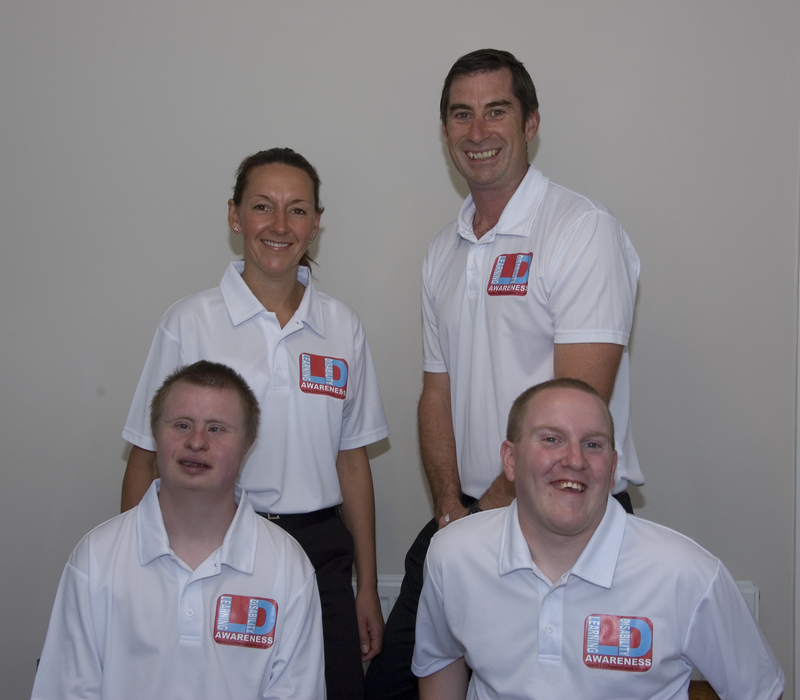 You can contact us through the link on this site as well as follow us through the social media icons.